Empress Market is a celebration of Pakistani food and culture, a combination of family recipes, street food & a nod to modern London lifestyle! Our speciality is the Bun Kabab, the famous Karachi style ‘anday wala’ burger! Recognised as the first female Bun Kabab street food vendors of the world by the BBC World Service. 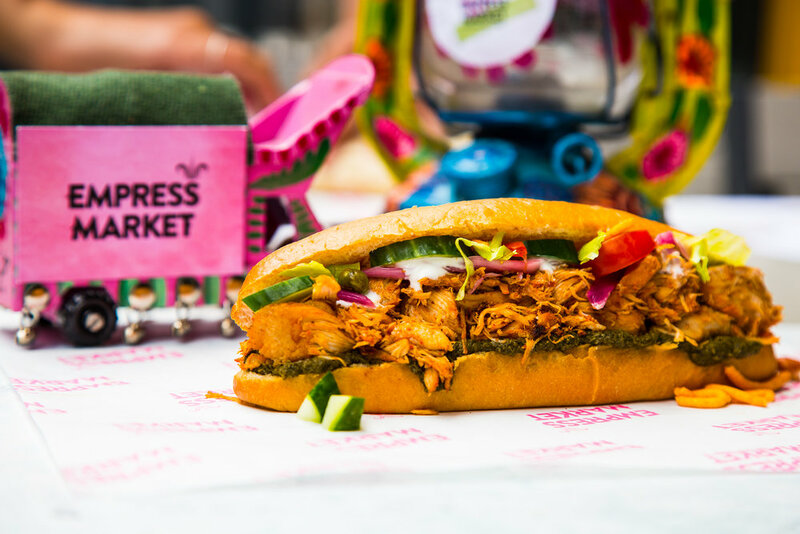 Empress Market hosts experiential supperclubs and private catering. Follow my journey through Pakistan as Numra and her family eat their way through the country on instagram! Catch Empress Market on The One Show where Numra chats about the challenges of being a female chef! My name is Numra and I am the founder of Empress Market, a female-led British-Pakistani food start-up. I launched Empress Market to share a fresh perspective on modern Pakistani identity through my grandmother’s recipes. These are the dishes she brought with her when she moved to London and they allow me to connect with where I’ve come from. I describe my cooking as Pakistani folk cuisine, food with a depth of flavour that brings people together to create community. In 2014 I quit my job as a documentary researcher at the BBC and opened the street food stall, Bun Kabab. I've trawled the street food hawkers of my parent's childhood in Pakistan to introduce an authentic Karachi Bun Kabab for Londoners. Empress Market has independently grown from a cottage business to various commercial pop-up formats, with a growing female centred team. I also host private parties and themed supper clubs centred around my love for food and storytelling. I am now looking to open my first permanent site.